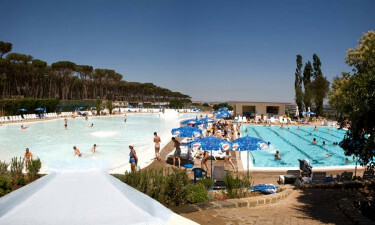 Situated on the outskirts of the city of Rome, Camping Village Fabulous Campsite is a leading LUX-camp that boasts a whole host of excellent amenities and facilities. People who book a mobile home here will be able to spend plenty of time during their camping holiday splashing around in the large outdoor swimming pool and soaking up the sun beside it, while a special children’s club is run by staff throughout the summer months to make sure that the little ones never experience a dull moment. During low season the site does attract school groups so this may cause some noise pollution over the campsite. What Makes Camping Village Fabulous Campsite So Special? 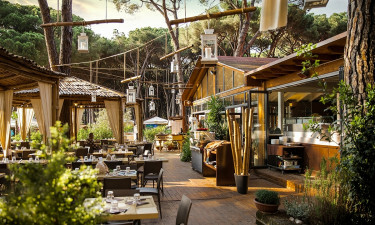 One of the main advantages of this luxury camping site is its close proximity to Rome and special guided tours of Rome are organised by staff to make sure that guests experience the magic of this city in the best possible way. The city of Ostavia with its impressive ancient ruins is also just a short drive away, while other exciting daytrip destinations that can be found in this part of Italy include Naples and Pompeii. This campsite has an excellent location with everything you need within range. Metro station to Rome 8 km. Ciampino airport (Rome) 19 km. People who want to experience the dolce vita will love dining on Italian dishes at the excellent onsite restaurant. The bright lights of the big city are sure to beckon to lovers of luxury camping and nightlife as the sun sets and there will also be plenty of opportunities to take in a meal and a cultural performance here, while the city also boasts excellent shopping options.